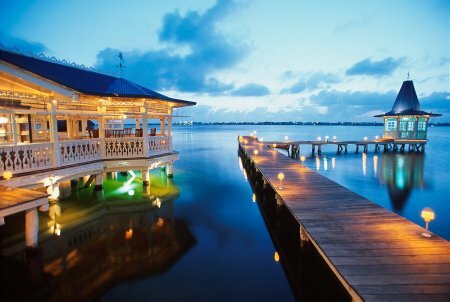 You are planning the wedding of your dreams to happen in the heart of the Mexican Caribbean – Cancun. You will need to be prepared to make decisions on which beautiful setting you want to tie the knot. Will it be a sea shore, gazebo, an ocean-view ballroom, beach-front garden, with dolphins, on board a Catamaran or Spanish style Galleon ceremony? Where will you begin your love story? You will receive your marriage certificate approximately six weeks after your ceremony. Therefore you want to be sure you plan your wedding with knowledgeable planners, such as wedding and travel planners. As part of our ongoing commitment to keep in line with the personal preferences of our guests, we will be changing the smoking policy across our 23-ship fleet. The feedback received from recent surveys indicated the overwhelming majority of our guests prefer a smoke-free environment. In fact, nearly 90 percent of our guests are non-smokers, with only less than five percent opting to smoke in their staterooms. Our new smoking policy will align our ships with most other contemporary cruise operators. Two of our sister lines, Holland America and Princess, have recently announced new smoking policies very similar to Carnival’s. Decisions like these are never easy and we realize this change may impact some of our guests. However, we sincerely hope this won’t affect their ability to have a fun and memorable cruise vacation. In fact, we are hopeful guests will see this as an enhancement to their on board experience and have an even better time sailing with us. Carnival is committed to providing a clean and healthy environment for all our guests. Booking confirmations, edocs, booked guest emails and our web sites will also be updated to reflect this policy change. • Effective June 15, 2011, cigarette smoking in public venues will only be permitted in Carnival’s dance clubs as well as in designated areas within the casino and casino bar. Smoking (including cigars) will be permitted in designated exterior open deck areas (port side) of all our ships. Additionally, smoking will also be allowed in the jazz clubs of the following ships: Carnival Destiny, Carnival Triumph, Carnival Victory, Carnival Spirit, Carnival Pride, Carnival Legend, Carnival Miracle, Carnival Conquest, Carnival Glory, Carnival Valor, Carnival Liberty, Carnival Freedom, Carnival Dream, and Carnival Splendor. • Effective December 1, 2011, smoking will be prohibited in all guest staterooms. Guests in balcony staterooms may smoke (including cigars) outside on their balcony. However, Spa suites and staterooms, inclusive of the balconies, will remain an entirely smoke-free environment. Guests who smoke in their staterooms will be assessed a $250 cleaning and refreshing fee on their Sail & Sign account. Information on this fee is included in Carnival’s ticket contract. Please make sure you share with your Carnival guests. Have you ever wanted to know what it would be like to live under the sea? In 2012 you will have that opportunity on Poseidon’s Mystery Island in the Fijian Lagoon at the Poseidon Undersea Resort. While visiting Poseidon Mystery Island you will experience three types of accommodations. The Island Bungalows which offers access to a private beach, Overwater Villas and the Underwater Suites, just below the ocean’s surface. Poseidon’s Undersea Resort offers the only underwater wedding chapel. Try the gourmet foods in their eclectic underwater dining room or their cafes and bistros above water as well. Poseidon’s Mystery Island offers what most resorts offer.